Wings of Fire, the sleeping dragon, has awakened, threatening to loose his terrible wrath on all of Fincayra. Only young Merlin, grandson of the great wizard Tuatha, can stop him, though the price may well be the young wizard's life.But before he can face the dragon's fires, Merlin must endure fires of other kinds—including those within himself. He must face the evil, batlike kreelixes who exist only to destroy magic; the mysterious Wheel of Wye; and the sorceress Urnalda, who holds the treasured Galator. Most challenging, young Merlin must discover not the power but the source of his own magic. 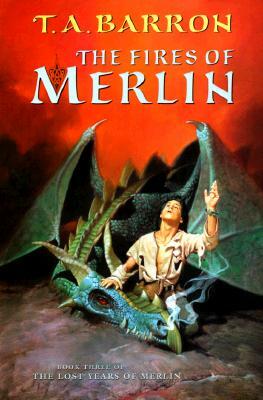 In this the third story in his Arthurian epic, T. A. Barron adds a thrilling new dimension to the legend of Merlin.